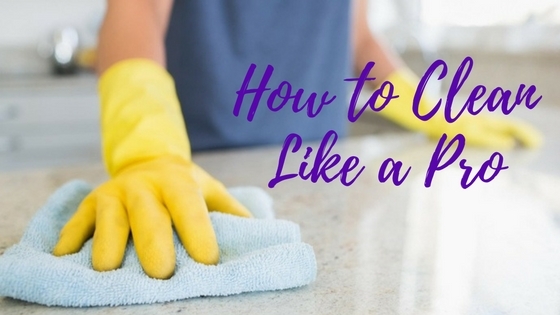 Learn from the cleaning professionals and clean like a pro in no time! We all want a sparkling clean house and oftentimes tried cleaning on our own. Cleaning may seem like an easy task, but if you do not know the proper techniques, you might end up wasting time and more frustrated than when you started. Ever wondered how the cleaning professionals do it? They do wonder and magic to your home and office that would leave you wishing to know what’s up on their sleeves. It’s simple, they have had training and experience thus enhancing their abilities to employ the best techniques in cleaning. Lifestyle Cleaning Services’ years in the service has made us the leading company in the Newcastle and Hunter Valley area’s cleaning industry. We have been asked how we do it and now we’re sharing it with you. Spray cleaning liquid onto microfibre cloth. Do not spray your cleaning solution directly to the surface. Use your microfibre cloth to evenly spread these to the surface. Clean from highest to lowest point. Simple explanation: Gravity. Work your way from top to bottom. This is a good strategy to ensure that you do not waste time. Clean all areas, slash back and appliances. If you want to know more about our services, please feel free to call us at 1300 132 187.